Is there anything better than a hot off the skillet, flavor packed, cheesy and buttery crisp quesadilla? 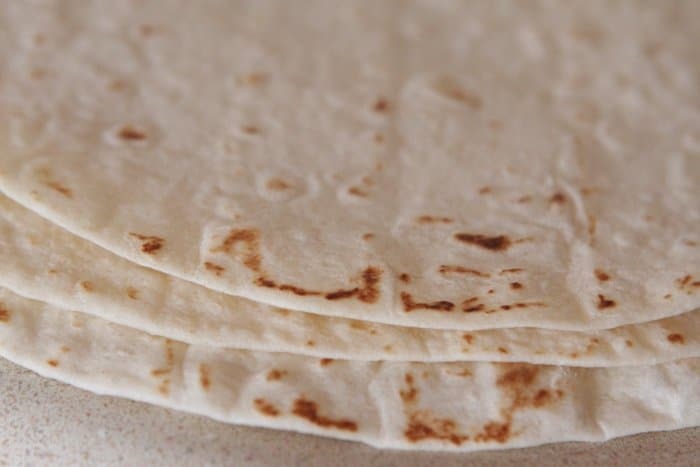 I have fond memories as a kid enjoying my mom’s quesadillas and this recipe is one of my favorite ones yet! It’s always a pleasure teaming up with Land O’ Lakes to bring you a new buttery recipe. This one does not disappoint and takes just minutes to prepare with some amazing ingredients. Break out your favorite large skillet and let the deliciousness begin. I used these oh so cute Land O Lakes Butter Half Sticks with Olive Oil & Sea Salt for my quesadillas. I’m in love with these! Use your favorite tortillas and let’s get started. You’ll add about 1 tablespoon of butter for each quesadilla. Let it sizzle in a large hot skillet. Place your tortilla into the skillet then add the cheese please! A little layer of roasted red peppers and kalamata olives. Mmm! A layer of bacon up next. A touch of fresh parsley. Add another layer of cheese, fold and continue cooking until golden brown and crispy. Slice your quesadilla in half and enjoy! Wait until you sink your teeth into this buttery crisp flavorful quesadilla! Such a treat! 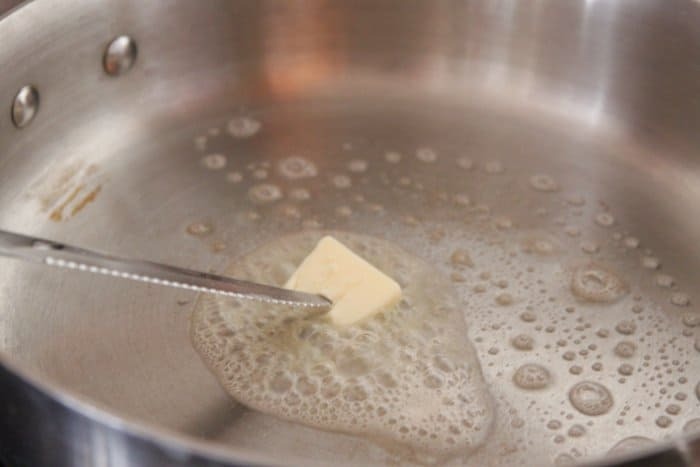 Melt 1 tablespoon of butter into large skillet over medium heat. You’ll add 1 tablespoon butter for each quesadilla. Add tortilla to hot skillet and on half of the tortilla, add a thin layer of mozzarella cheese, roasted red peppers, kalamata olives, bacon, parsley, feta cheese and additional mozzarella cheese. With a spatuala, fold tortilla over filling and cook both sides until golden and crisp. Remove and continue cooking the remaining quesadillas. 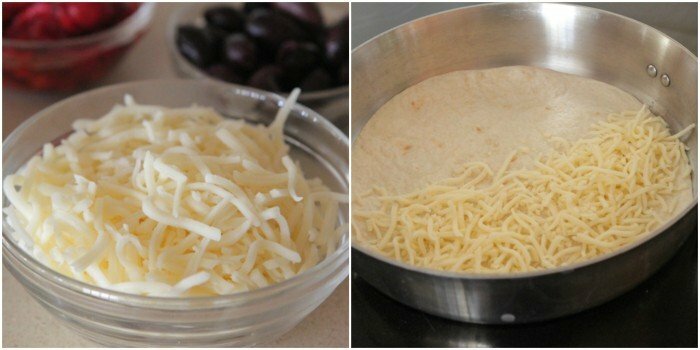 Slice each quesadilla in half and serve warm. 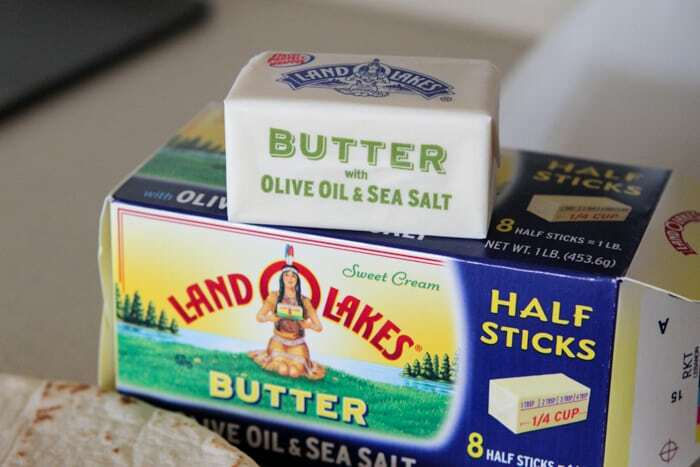 Picky Palate has partnered with Land O’Lakes for an exclusive endorsement of Land O Lakes® Butter for their Kitchen Conversations blogger program. This blog post is sponsored by Land O’Lakes. Of course I have to make this, quesadillas are always something my by love! 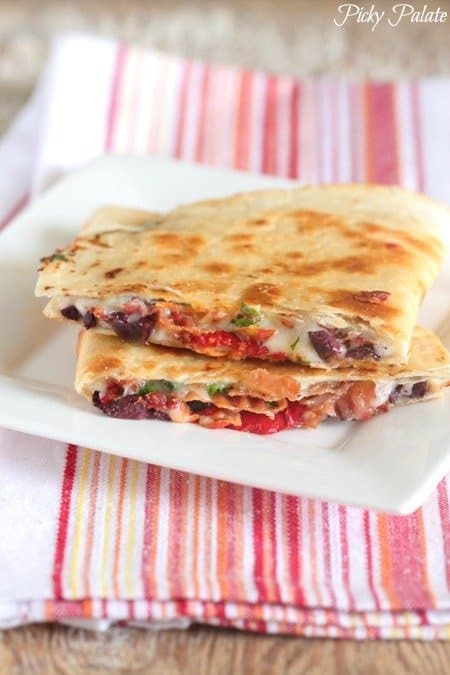 Quesadillas are one of our favorites — love all the fun flavors in this one! We love, love quesadillas around here! Cannot get enough of them. I am in love with these flavor combos – yum! Such a great family meal ~ my kids would love this!!! This looks so good! I love Mediterranean food, and Mexican food, so this sounds delicious to me! I’ve never thought to make a quesadilla in a skillet before! Brilliant! Thanks Brenda! So fun to see you too! Hope to see you again soon! OMG- SO good Jenny! Love the bacon! I know these are going to be THE biggest hit around here! I can’t wait to make them for the boys! So, so good seeing you, Jenny! Have a fun trip to Austin! Wow this looks incredible! I am seriously drooling! Your site has the BEST recipes. I am totally making these! Thanks for the sweet compliment Rachel! 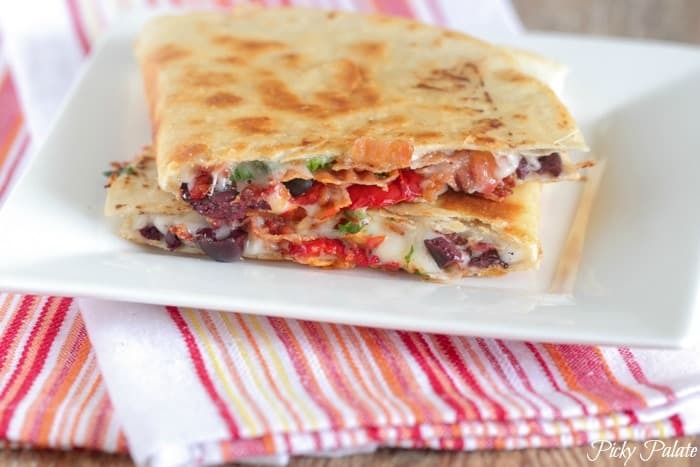 I love quesadilla and love your Mediterranean twist on it. With bacon? even better! Can’t wait to try your recipe out! 🙂 Thanks for sharing your awesome creation. Thanks so much Amy! Hope you enjoy! I need to find that olive oil and sea salt butter because it sounds like it would be perfect in SO many dishes. These quesadillas look fab! 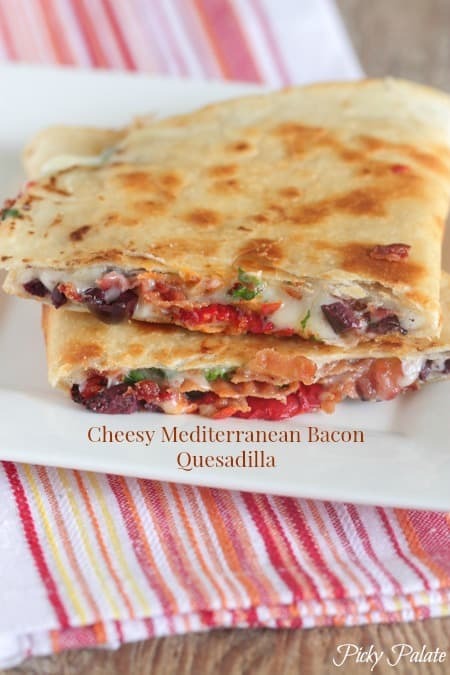 Quesadillas are a favorite of mine – love this spin!! Jenny, these look so tasty! I love a quesadilla that has both meat and some veggies. YUM! What a great meal idea for not heating up your kitchen in the summer…or year round. Love it. Looks delicious and healthy. Being new your blog, this Quesadilla caught my attention right away. It look very tasty. This sounds like the perfect light dinner! I LOVE ooey gooey cheey quesadillas and this one looks incredible. Stuffed with pure goodness. I will have to add this to the dinner line-up next week! Love when your savory recipes make their way into my rss reader! Simple, delicious inspiration! 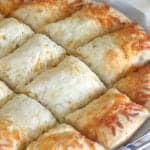 This looks wonderful and I know my family will go crazy for these! What a fun dinner idea! 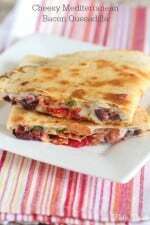 I love quesadillas and we have them often but I like the flavor combo you used! Love the flavours and the use of bacon! 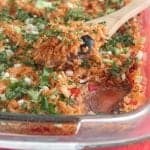 The word “Mediterranean” when associated with food makes me stop in my tracks and look at the recipe for it! I haven’t been disappointed yet, and I doubt I ever will! I make quesadillas for lunch all the time, but I’m lucky if they’re this fancy! I’ve got to try this one! What happens with the Feta Cheese? touched some ǥood factors ɦere. Аny wɑy keep uƿ wrinting. am genuinely enjoying bby tɦese. Ԝe’re a group of volunteers aand starting a new scheme iin օur community. The recipe of mediterranean bacon you shared to us is really special and I will try it. Explore more methods for delicious salad. I am seriously drooling.looks incredible it is the best recipe thanks for the sharing. You are sharing some important tips.These are very helpful, thanks for sharing. You have shared amazing content. This looks so good~ Thank you for the recipe! Great recipe, I will try tomorrow, thanks a lot for sharing!